Abandoned Copper Mine, near Allihies, in West Cork. One of many mines in this area in use during the early 1900s. 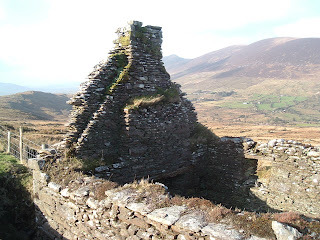 Ruined Famine Cottage on the Kerry Way, between Kells and Glenbeigh. Laune MC doing a day of Navigation Training on Seefin, with Caragh Lake in the distance.